There are four challenges regarding air pollution that the U.S. is currently facing. Air pollution has the potential to harm people’s health and welfare in a variety of different ways, making programs to control air pollution of vital importance. Since the 1970s, the Environmental Protection Agency (EPA) has been tackling various problems regarding air pollution, largely through the landmark Clean Air Act, an effort that has substantially reduced levels of different air pollutants and made the air safer for everyone. Yet despite these improvements to air quality in the United States, the EPA and other regulatory bodies still grapple with various challenges in cleaning up the air. An abundance of common air pollutants, toxic airborne compounds, a damaged stratospheric ozone layer, and climate change are all issues the EPA is attempting to solve. What kind of progress is being made in the attempts to solve these issues? What strategies are working to address these challenges? One of the primary purposes of the Clean Air Act is to control six different air pollutants referred to as the “criteria air pollutants” by the EPA. These “criteria air pollutants” - carbon monoxide, lead, nitrogen oxide, sulfur dioxide, ground-level ozone, and particulate matter - pose the greatest threat to human health by virtue of their toxicity and ubiquity. Industrial air filtration units can capture most of these air pollutants, but not carbon monoxide. Carbon monoxide air pollution has basically been driven down to acceptable levels nationwide according to the air quality standards set by the EPA. This is a substantial triumph as carbon monoxide exposure can quickly lead to brain damage, lung damage, and death. Special gas phase filters must be used to capture carbon monoxide, meaning that traditional air filters are ineffective against the toxic compound. Levels of atmospheric lead have been greatly reduced by the Clean Air Act, which is responsible for phasing out lead in gasoline for motor vehicles. This is an excellent achievement as exposure to lead can lead to neurological issues, like behavioral issues and difficulty learning, especially in children. Levels of atmospheric lead are now only beyond the air quality standard near specific industrial facilities that emit large levels of lead. Ground level ozone is created when volatile organic compounds (VOCs) interact with chemical energy from the sun in the presence of heat. Ozone at ground level is a toxic air pollutant that can require hospitalizations when people are exposed to high concentrations. Ozone can also irritate the eyes, nose, and throat, cause difficulty breathing, and permanently decrease lung function. Particulate matter refers to all fine particles of pollution smaller than 2.5-microns in size, or 50-times smaller than the width of a human hair. At this small size, it can penetrate into people’s lungs and bloodstream causing damage to the respiratory and cardiovascular system. Particulate matter exposure is correlated with things like stroke, heart attack, chronic obstructive pulmonary disease, asthma attacks and lung cancer. The EPA has managed to substantially cut levels of both ozone and particulate matter of the past couple decades, but levels of these two air pollutants are still well beyond acceptable standards in many cities around the country. Though not as ubiquitous as the criteria air pollutants, the EPA also tracks the intensity of many different toxic pollutants like benzenes, methylene chloride, cadmium, and mercury. In fact, the EPA tracks 187 pollutants that can cause respiratory damage, cardiovascular damage, cancer and other diseases. These hazardous compounds can come from a variety of different sources such as solvents, paint strippers, dry cleaning facilities, building materials and chemical cleaners. 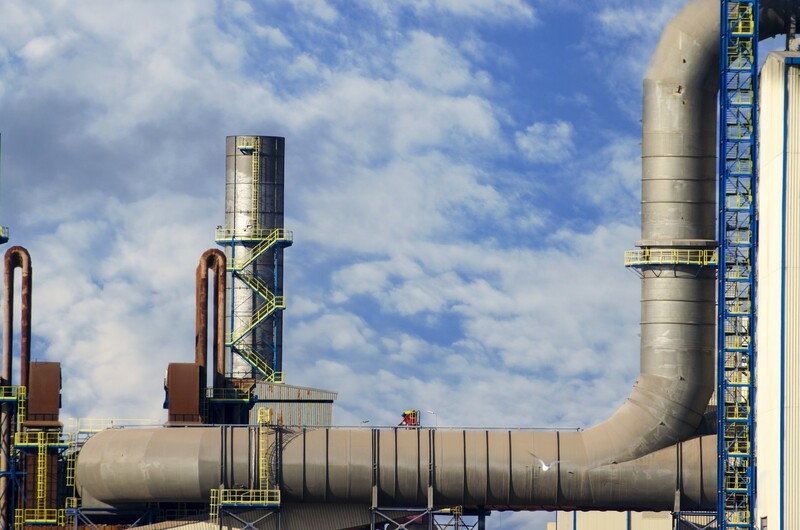 The most prolific sources of airborne toxins are chemical manufacturing facilities, steel mills, power plants, and aerospace manufacturing facilities. Levels of toxic air pollutants like benzenes are highest in urban areas, and the EPA estimates that about 14 million people who live in more than 60 urban centers across the country have lifetime cancer risks that are higher than 100 out of 1 million. This is compared with the regular risk of 10 in 1 million. Standards created by the EPA have been highly successful in reducing overall levels of air pollution, and the concentration of benzenes in gasoline and other forms of fossil fuels has been substantially reduced. The EPA has also managed to get 174 major source categories to hit emissions standards, along with 68 categories of smaller sources. Aside from controlling the criteria for air pollutants, another challenge the EPA is dealing with is the threat of global climate change. Climate change is driven by greenhouse gases, which are gases that trap heat in the atmosphere and cause the globe to warm. This is called the “greenhouse effect,” and the EPA is attempting to control levels of greenhouse gases within the atmosphere. The air pollutants that cause the greenhouse effect - carbon dioxide, nitrous oxide, methane and various fluorinated gases - are often trapped by commercial HVAC air filters. Unfortunately, however, while filters clean indoor air, they can't address the larger problem of greenhouse gas emissions in the atmosphere. Started requiring that greenhouse gas emissions from refineries, power plants, and other industrial facilities be controlled through design choices that limit emissions. Created the Clean Power Plan, which was established to advance the creation of alternative energy infrastructure like solar power plants, wind turbines, and hydroelectric dams. This is combined with strong standards for existing power plants and industrial facilities. Another challenge that the EPA is tackling is the degradation of the ozone layer. The stratospheric ozone layer is what protects the earth from the sun’s ultraviolet rays. Compounds known as chlorofluorocarbons (CFCs), along with other compounds like trichlorofluoromethane, rise into the stratosphere where they degrade the ozone layer. This means that more ultraviolet radiation hits the surface of the planet, causing skin cancer, cataracts, and crop damage. In order to preserve the ozone and prevent the harmful effects of ultraviolet radiation, countries around the world, including the U.S., have agreed to abide by a treaty known as the Montreal Protocol. The Montreal Protocol mandates the reduction of emissions of ozone-depleting compounds like CFCs. These chemicals have been phased out by the U.S. in many ways, including transitioning to less damaging chemicals for use in refrigerants. The EPA has also established programs to label products containing ozone degrading substances and to properly recycle objects containing the substances. Some industrial air purifiers also generate ozone through their operation, so it is important to avoid using them. Though substantial progress has been made in reducing emissions of ozone degrading chemicals, further steps to complete the phase-out of the chemicals must be taken. Since CFCs and other ozone degrading compounds hang around in the atmosphere for a long time, the EPA plans on helping the ozone layer recover by investing in technologies that further improve energy efficiency and reduce emissions of CFCs. Though the Clean Air Act and other acts established by the EPA have managed to greatly reduce the amount of criteria air pollutants, ozone degrading compounds, and toxic pollutants in the air, there is still a lot more work to be done. The EPA advocates an eclectic air pollution management strategy that brings together science and engineering solutions, action from different levels of government, and public participation into a cohesive clean air management strategy. It’s arguable that the biggest challenge currently facing the U.S. and the rest of the world is in reducing emissions of greenhouse gases. The United States recently chose to withdraw from the Paris Accord, a worldwide agreement to limit emissions of greenhouse gases. The Trump administration has reduced support for greenhouse gas regulations and alternative energy sources in a bid to increase investments in fossil fuels like shale gas. Due to the fact that the EPA under the Trump administration is dealing with possible budget cuts and less support for its renewable energy policies, many state and local governments have recently pledged to adhere to the tenets of the Paris Accord even if the federal government will not. The federal government, state governments, and local governments all have their role to play in reducing emissions of greenhouse gases and other air pollutants. Managing emissions from motor vehicles and industry can be done at both the local level and federal level. State governments act as an intermediary between federal regulatory bodies and the city governments that will oversee the implementation of emissions reduction policies in their area. 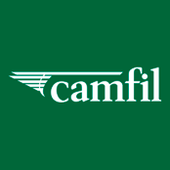 Camfil USA commercial air filters are capable of providing you with filters guaranteed to protect your health from the criteria air pollutants and any other toxic air pollutants. When it comes to your health, waiting can have dire consequences. Contact Camfil today.